The Ateca SUV gave Seat a big sales boost. FRANKFURT -- Volkswagen Group's global deliveries rose 4.3 percent to a record 10.7 million last year as the recovering markets of Russia and Brazil helped to offset weak demand in western Europe. December sales increased 8.5 percent to 999,800, VW said in statement on Tuesday. VW Group deliveries in Russia, which is emerging from a four-year economic slump, rose 15 percent over the year, with a 26 percent jump in December. In Brazil, sales jumped 20 percent for the full year and 2.4 percent last month. Group sales in China increased 5.1 percent for the year and 18 percent last month. Deliveries rose 1.4 percent in western Europe last year and 0.6 percent in December. In the automaker's German home market, sales fell 0.4 percent in 2017 but gained 5 percent in December. U.S. deliveries increased 5.8 percent in 2017, but slipped 5.2 percent last month. • Click here for VW Group sales by brand and market for December and 2017. VW Group's Spanish brand Seat was the group's biggest gainer last year after it added the Ateca and Arona SUVS. 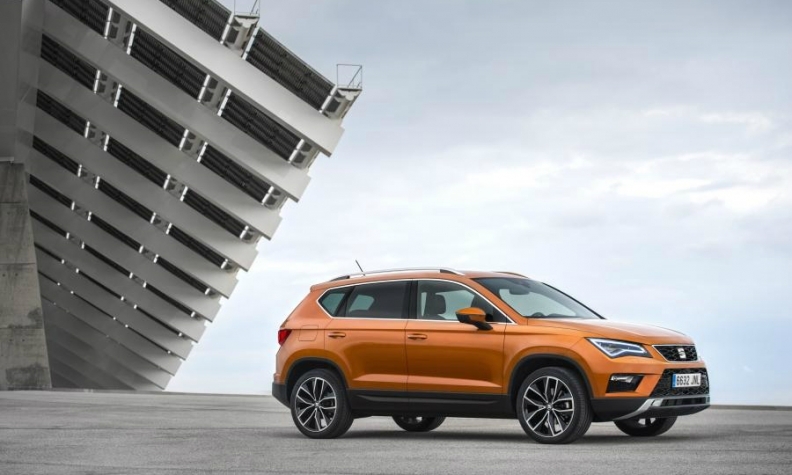 Seat's sales rose 15 percent over the year and 13 percent in December. Sales at Czech unit Skoda were up 6.6 percent in 2017 and up 19 percent last month. VW's core brand, which has borne the brunt of the automaker's emissions scandal, increased 4.2 percent last year and 5.6 percent in December. Audi's deliveries were up 0.6 percent in 2017 and 16 percent last month. Porsche sales rose 3.6 percent for the year and 0.6 percent for the year.